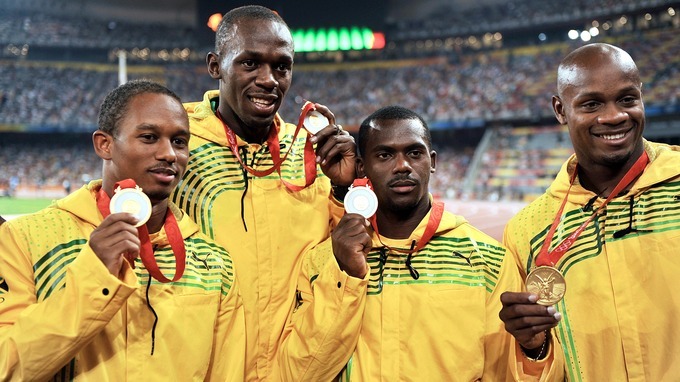 The Jamaican 4 × 100m relay of the men will be stripped off the gold medal awarded at the 2008 Olympic Games in Beijing for a doping event. This was announced by the International Olympic Committee (IOC). The failed athlete is Nesta Carter. Re-tests showed a positive finding on a forbidden substance call methylhexaneamine. By the decision of the IOC Disciplinary Commission, this will cost the Jamaican sprint star Usain Bolt an Olympic gold medal. Dropping his total to new “only” eight.